Some time you will need to import or export blog data to your site for testing or moving to new domain or backup your posts. Just follow below steps. 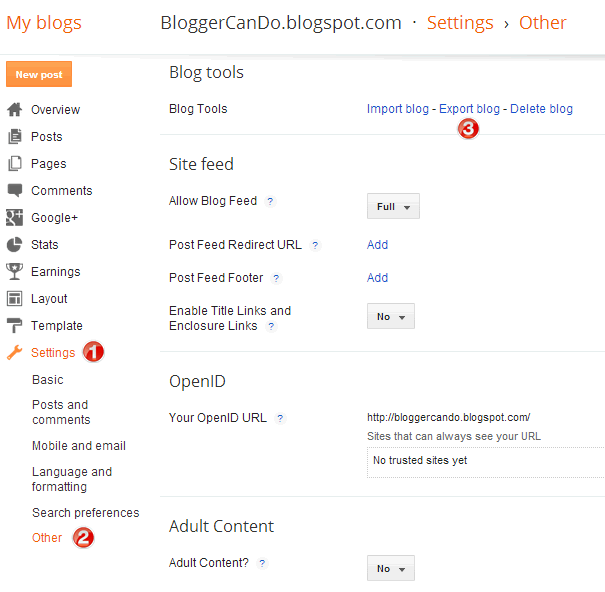 Access your blog dashboard and choose Settings / Other then click Export blog. 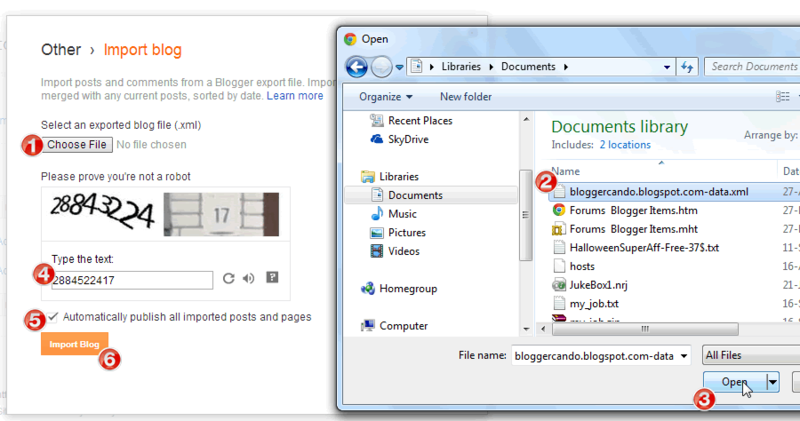 Export blog window show, click Download Blog then locate a place in your hard disk to save the xml file. This file will be used to import to your blogs later if you want to restore blog data. 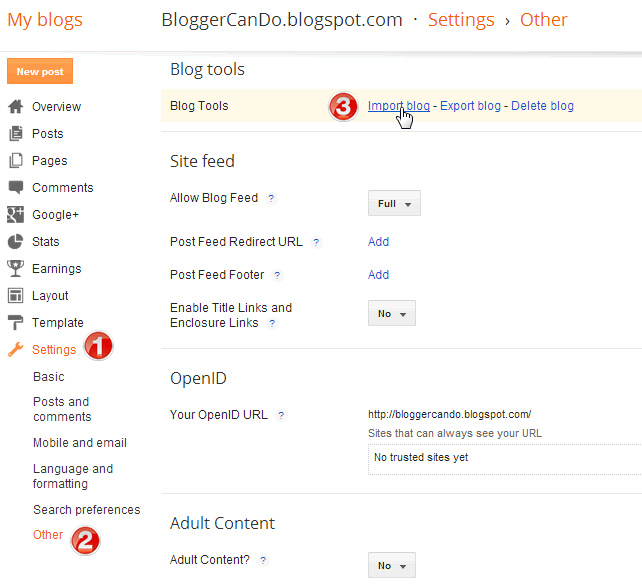 Access your blog dashboard and choose Settings / Other then click Import blog. 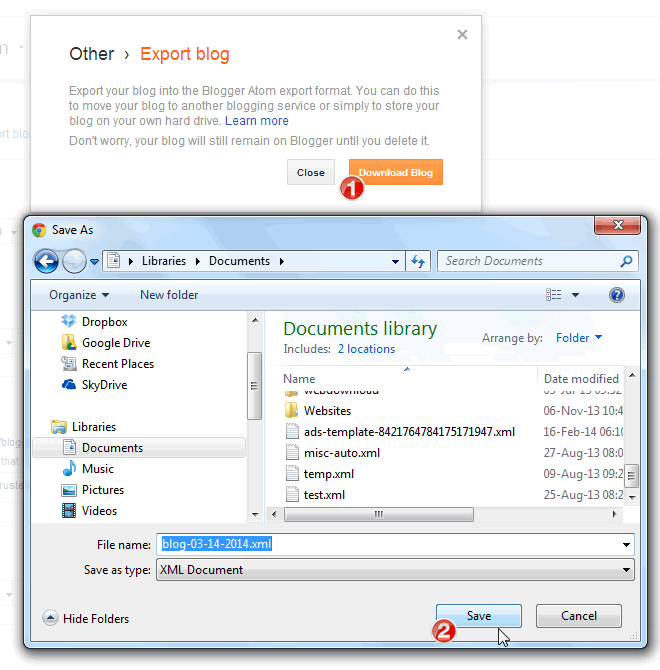 Import blog window show, click Choose file and locate you file from hard disk, then type Captcha, remember check into Automatically publish all imported posts and pages and click Import Blog button to finish. How to upload favicon image for Blogger Blogspot website?